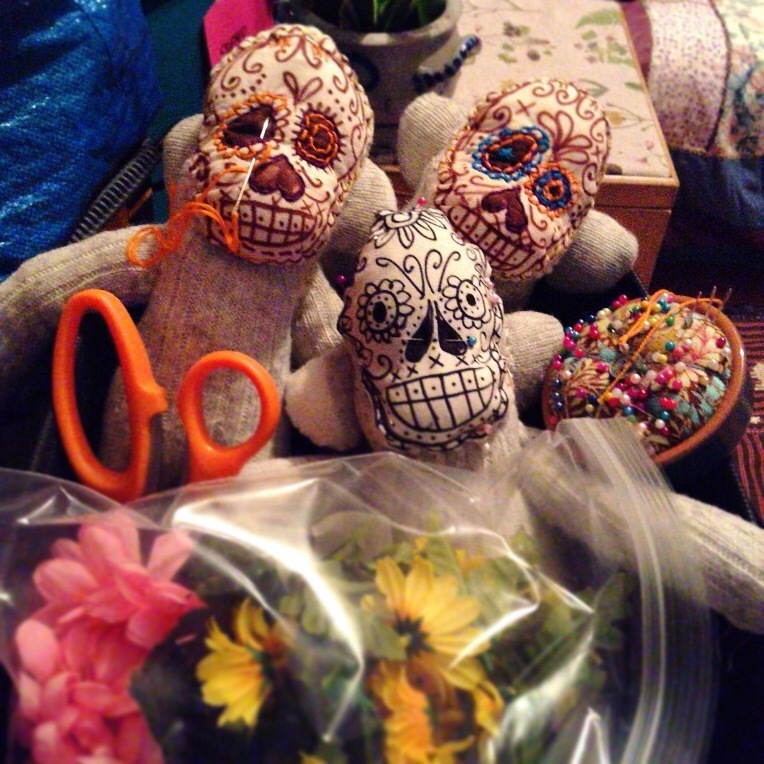 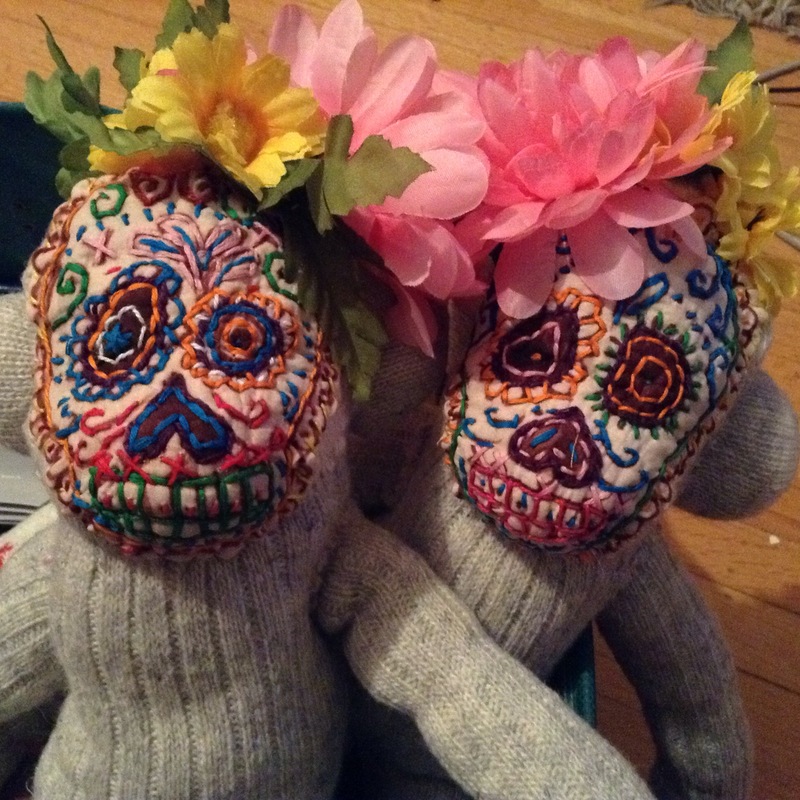 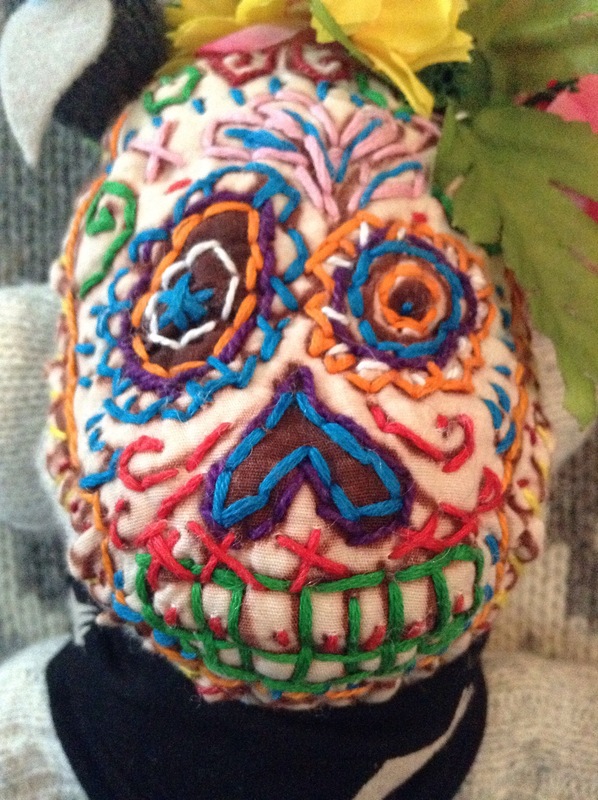 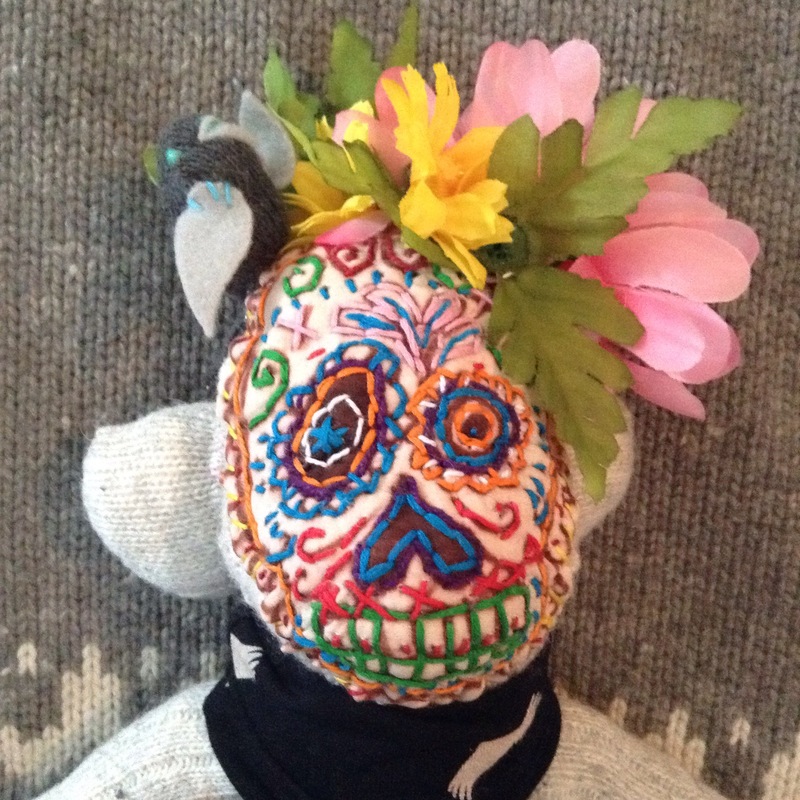 This handmade, handsewn sock monkey is a special version of my sugar skull sock monkey line! 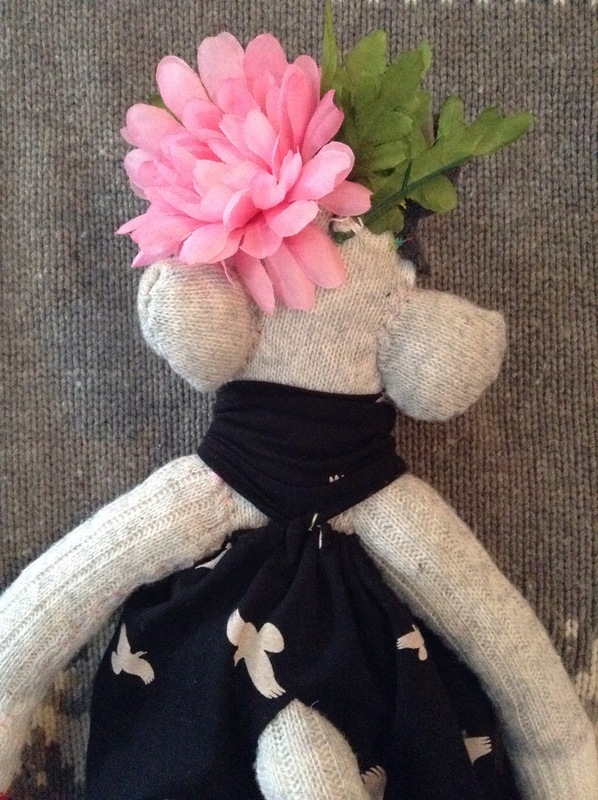 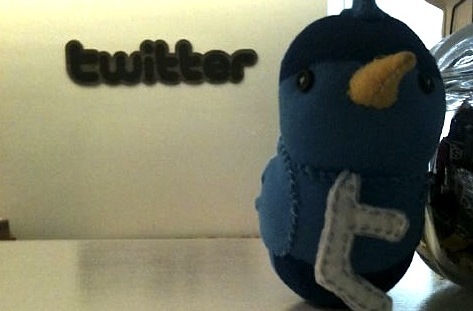 She has an embroidered face and her dress is soft stretch cotton with crow design. 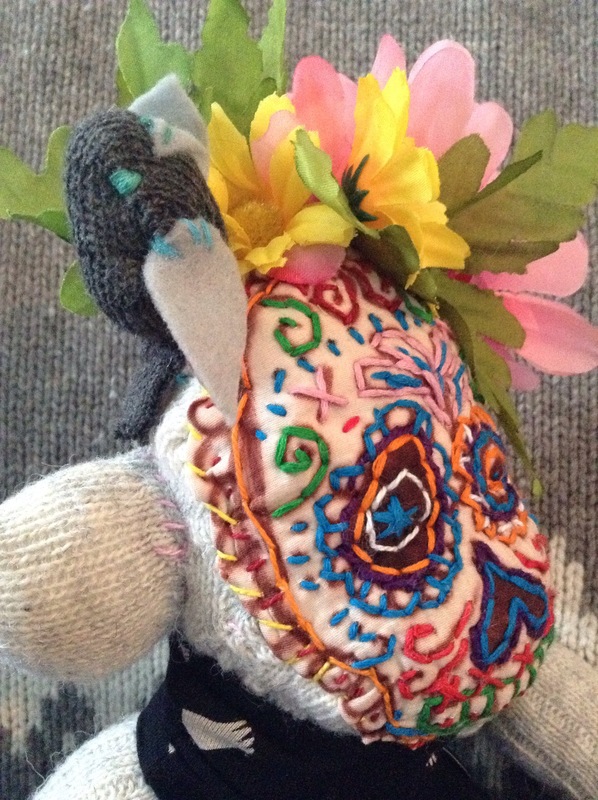 She is adorned with flowers and a little bird sits atop her head. 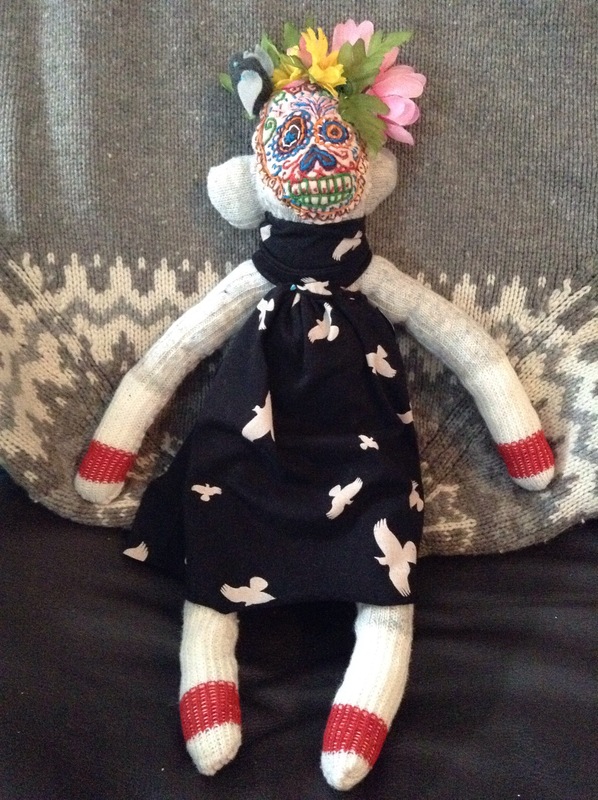 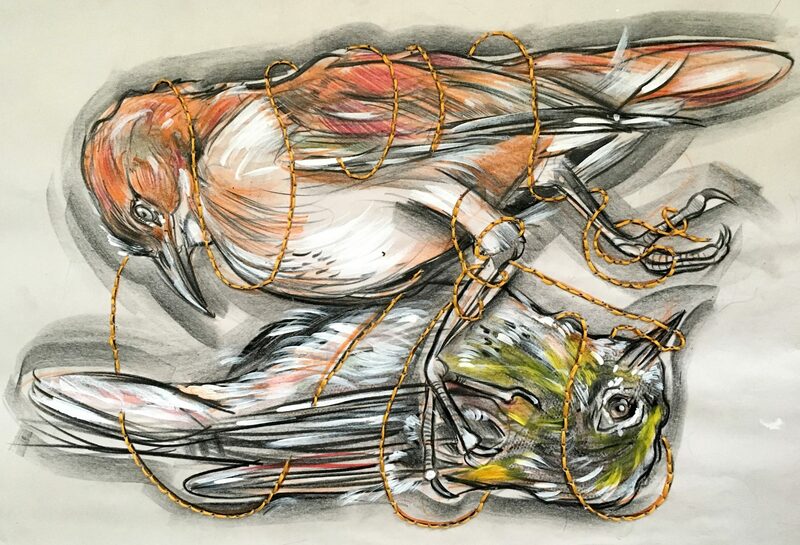 UPDATE: SHE WAS DONATED DECEMBER 11, 2015 TO THE SILENT AUCTION FUNDRAISER AT MOUNTAINSIDE SECONDARY SCHOOL CRAFT FAIR BENEFITING THE KYT FOUNDATION.